It is becoming more common for employers to require employees to sign a variety of restrictive covenants, including non-compete agreements in NJ, as a condition of employment. Under New Jersey law, these agreements are enforceable to the extent that they are necessary in order to protect the employer's legitimate business interests. Even non-compete agreements in NJ that are overly broad in geographic and temporal scope can be enforced, because the Court has the power to reduce the scope rather than declaring the entire agreement unenforceable. 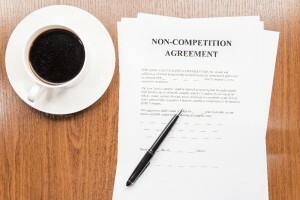 The scope of enforcement of NJ non-compete agreements involves the analysis of many factors, and the Court's decision often is made based upon the relative equities and fairness to the parties. For example, a downsized employee will have a much better chance of reducing the scope of an agreement than an employee who quits to go work for a direct competitor. There are many different ways of handling non-compete situations and as a top employment law firm, Schorr & Associates has successfully assisted hundreds of employees in reducing or eliminating their non-compete problems. Very often, a post-termination non-compete dispute can also end in an agreement for additional severance pay. Alan H. Schorr, a Certified Civil Trial Attorney, can provide you with solutions to these all too common problems. Please call or e-mail now for a free initial telephone consultation.